SPP conference on juvenile crime prosecution work. In January 2013, China’s newly revised Criminal Procedure Law (CPL) took effect, incorporating special procedures for juvenile cases, including the right to have a guardian present during interrogations, increased access to counsel, special procedures for conditional non-prosecution and the sealing of juvenile criminal records. In 2012, the last year before the CPL revisions took effect, arrest approvals and prosecutions were already dropping considerably from previous years (down 5.31 and 1.73% respectively from 2008) as policies of leniency and revisions to other relevant laws, such as the Law on Prevention of Juvenile Delinquency, were put into effect. Last year, following the CPL reforms, the effect was even more pronounced with a further drop in arrest approvals by 7.2% and prosecutions by 1.42%. During this time, recidivism also began to drop, with a startling 29.6% drop in recidivism rates between 2008 and 2013, with the success of many juvenile offenders in returning to society attributed to rapid provision of corrective education services. It is unclear how recidivism was defined for the person of this statistic (ie: conviction, arrest, police contact). A number of trends were also noted by the prosecutors leading the meeting. First, the age of offenders investigated is decreasing, with larger numbers of youth as young as 14 being involved in more serious crimes. Second, education level seems to correlate inversely with crime, with 90.24% of the juvenile offenders investigated for prosecution having a middle school or lower education level. Third, non-local youth were likely to be investigated, with about 25% of crimes committed by someone registered outside the area. Violent crimes by this age group were said to be increasing, although about 80% of juvenile cases accepted by the procuratorate were for 5 crimes: theft, robbery, intentional harm, provocation, gathering a group to assault someone. In addition to implementing special procedures for juvenile suspects and defendants, the nations’ procuratorates have also been prosecuting cases of crimes against minors. The chart below reflect prosecutions of some such crimes between 2008-2013. China has no discrete juvenile justice system, but the recent reforms to the CPL urge courts, prosecutors and police to establish separate offices or divisions for handling such cases, or to have specialized personnel involved in such cases. In 1986, Shanghai’s Changning district procuratorate established the nation’s first special procuratorate group for juvenile cases. 25 years later, in November 2011, the Supreme People’s Procuratorate established a Guidance Office for Juvenile Criminal Cases to guide lower procuratorates in juvenile case efforts. 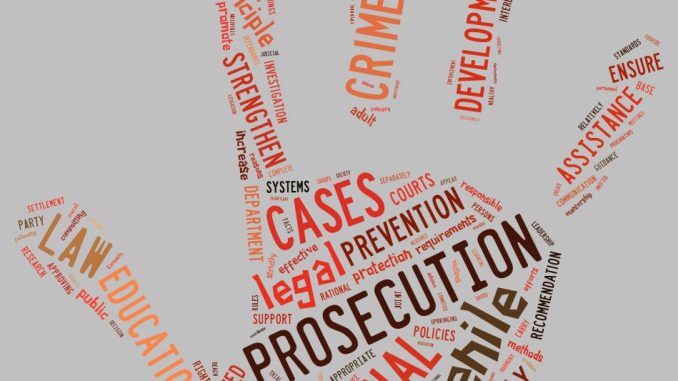 Many provinces and larger cities have also established independent offices or departments for juvenile cases, often combining prevention, prosecution and supervision efforts. As of today, there are 807 juvenile procuratorate agencies established in China, which means that about 22.5% of procuratorates have one. A number of these specialized units’ and other procuratorates were hailed as having received found great success in their recent innovations. The list below is of some procuratorate practices as highlighted at the conference. 1. Beijing’s Haidian district procuratorate has excelled in recent years by incorporating social workers into its programs to help complete background investigations which can be used in deciding whether or not to prosecute, at sentencing, or in providing corrective education, which is also provided by the social workers. 2.Shanghai’s Minhang District procuratorate has also used social workers for assisting in corrective education and supervision of at risk youth. They have employed 93 social workers and established several stations at different levels throughout the district who can also assist in evaluating the need for detention and performing social background investigations. 3. In Jiangyin city in Jiangsu Province, the procuratorate has established ‘probation bases’ for juveniles, making it easier for them to be released from prison even where guardians cannot be located. These bases are established in cooperation with local businesses that provide free room and board to the juvenile offender, and act as the guarantor for them in ‘release on guarantee’ (china’s closest equivalent to bail). So far, of the 106 juveniles so placed, over 98% have received non-incarceration dispositions and not one has committed a new offense. 4. 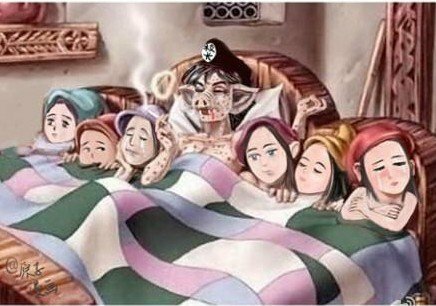 Lanling county in Shandong Province’s procuratorate has created the ‘spring blossom team’ of female procurators to address the problem of children “left behind” by migrant workers who have gone to the city. The area has 160,000 such children, who are often left behind with elderly grandparents and are at a higher risk for both becoming involved in crime and being victimized. The 35 procurator members of the spring blossom group have recruited over 210 other women from local offices and businesses for their team to provide counseling and even economic support to kids in need. The team has made a network of contact points across the county’s villages organizing police, courts, procuratorates, schools, and civil government organs to join in this goal. 5. The Procuratorate of Zhongyuan District of Zhengzhou in Henan Province, has created an assistance program for minors who are at risk because of their parent’s involvement in crime. 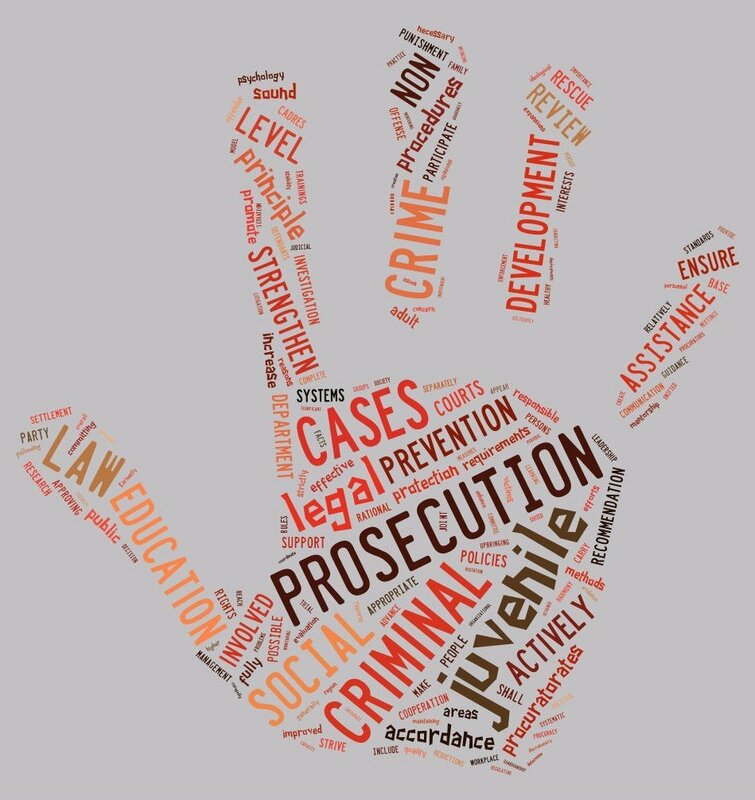 When during an investigation it is discovered that there is a danger to a minor child of a suspect in terms of money, education or other such risk, the program can provide assistance in these areas as well as medical and psychological care, career help, legal aid etc. The program is in collaboration with many other government offices, local businesses and civil society. 6. Jiangsu Province’s Xinyi municipal procuratorate’s “Sunflower” program assists young girl victims of crime. Combining resources from the police, women’s federation, courts, justice departments, schools and civil administration, child victims of sexual violations are given economic, legal, medical and psychological assistance, and offers supports to victims’ families as well. The program also works to assist with prevention as well , going into villages, schools and communities to understand conditions and provide education. 7. The Lizhou District procuratorate in Guangyuan, Sichuan Province has created three major corrective education bases in coordination with other government departments to service minors awaiting trial or being given conditional or discretionary non-prosecution. The first of these is in the Dezhong middle school where they offer supervised education. At the Guangyuan foreign languages school where minors receive fundamentals of legal education, engage in moot court proceedings and have legal knowledge contests. Finally, at the Welfare Center youths perform community service labor assisting elderly in the Old Age Home or tutoring orphans. 8. In the Haishu district of Ningbo, Zhejiang Province has established a Wang Li Workshop named for a director of the juvenile procuratorate. The Workshop primarily provides psychological counseling to at-risk youth, based in both the area’s only school for migrant or left-behind children and also in a vocational school. 9. In the Luozhuang district of Shandong’s Linyi City, the procuratorate has merged juvenile counseling work with remote procuratorate stations, using existing resources to cover a wider area. 10. Beijing’s Chaoyang District has personnel who prepare social background reports appear in court. Social workers hired to prepare these background investigations for treatment, sentencing and disposition decisions of juvenile offenders also appear in court where their they personally report their findings. 11. Changcheng District in Foshan, Guangdong’s procuratorate has initiated a ‘rainbow plan’ to help delinquent youth return to society. The plan began in 2009, involving social workers, psychological counselers, skills trainers and prosecutors who have assembled a volunteer corps and a Rainbow House ‘probation base’ to provide counseling, community service work projets, vocational training, legal education and work practice. 12. In the Dongan district of Mudanjiang in Helongjiang province, the people’s procuratorate has worked with the education agencies to create “ Sister Snowplum” where prosecutors visit in-school children in their jurisdiction. In addition to preventive teaching, prosecutors have a strong presence in schools, submitting annual reports on crime and are involved in investigations— this increase attention has resulted in the number of in-school crimes dropping by half. 13. The Heart Beacon program in the Henan Province city of Zhengzhou’s Guancheng Hui Minority district, lights the way back to society for lost youth. The program offers different levels of counseling at different phases of the criminal process, and boasts a 0% recidivism rate for its graduates. 14. The Xinbei district of Jiangsu’s Changzhou city has a team of volunteers providing legal aid and volunteer counseling and tutoring to left-b ehind and migrant children under the name ‘little orange lamp.’ 68 volunteer lawyers, teachers and college students participate and have already served some 77 youth. Supreme People’s Procuratorate Decision on Further Enhancing Juvenile Criminal Prosecution Work (October, 2012) SPP Provisions on Handling Cases of Juvenile Crime NPC Explanation on Juvenile Crime Procedures A Quick Introduction to New Protections for Juvenile Victims of Sexual Violations. The estimated value for a full translation of this post is $527.82 USD at the below-market rate of $.06 per character, with 8,147 characters.